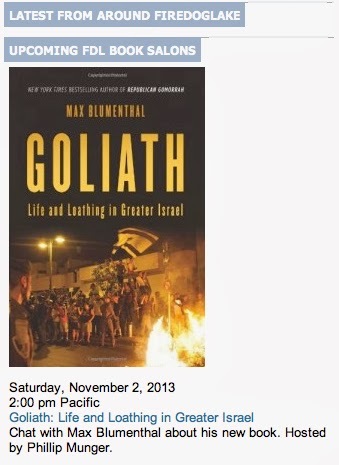 Bestselling author Max Blumenthal's new book, Goliath: Life and Loathing in Greater Israel, came out on October 1st. Reception to the book has been mixed, as it is a scathing look at the growing racism, jingoism and authoritarianism inside Israeli society. 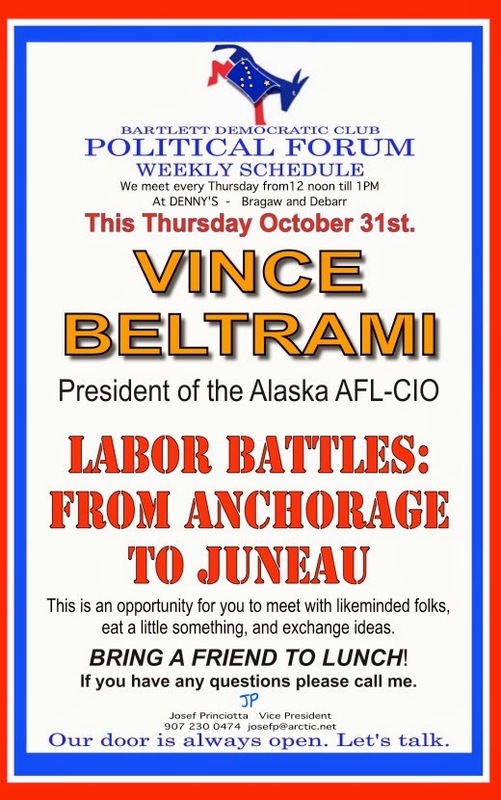 I will be hosting Max at the two-hour on-line forum, held between 1:00 and 3:00 pm Alaska time. Come join us. Ask Max anything that comes to mind. Should be good. 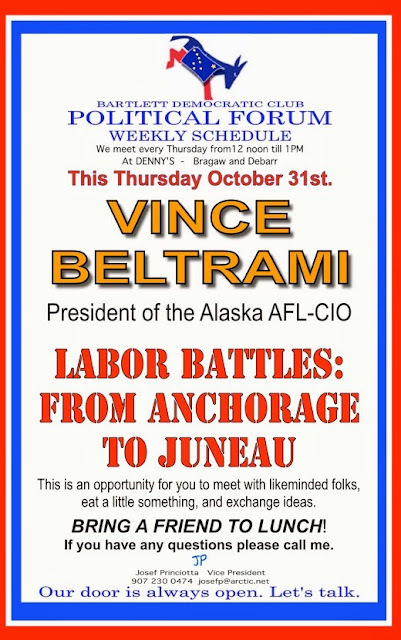 Vince is an excellent, knowledgeable speaker on labor issues - as one would expect. My teaching schedule this semester keeps me from being able to attend the Bartlett Club. Finally, beginning in January, for the first time since Spring, 2011, I'll be able to once again attend this important weekly forum. New testing done by Worcester Polytechnic Institute, Dept. of Civil and Environmental Engineering found Fukushima cesium in US Pacific sea weed. The samples were standardized against a known amount of cesium 137 and cobalt 60. The finding of cesium 134 would indicate this is at least partially from the Fukushima nuclear disaster. 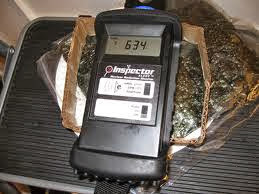 “Washington State Pacific coast eel weed sample contained 0.22 pCi/g of Cs134 and 0.24 pCi/g of Cs137.